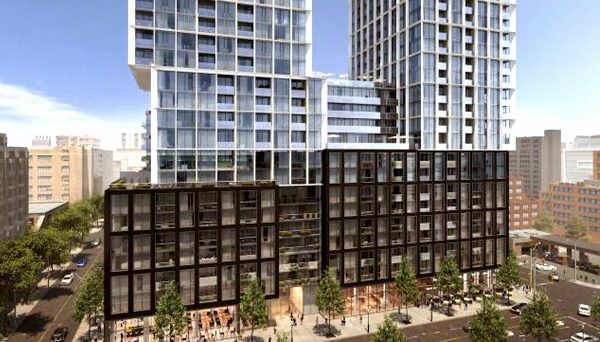 Cityzen Development Group is a real estate developer that focuses on creative and iconic towers across the Greater Toronto Area. Their projects have shaped the identity of the GTA’s skyline and their success can be attributed to their access to the complete spectrum of real estate sectors. They’ve partnered with some of the world’s most prominent architects such as Yansong Ma, Daniel Libeskind, Muang Leung and architectsAlliance. 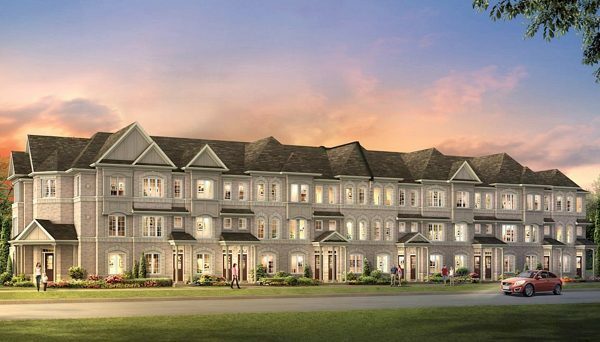 They are led by the visionary owner and president Sam Crignano who has 28 years experience in developing throughout the GTA and has held his current role for over 13 years. He believes in investing in young talent, as he tries to avoid the inevitable entrenchment of being influenced by the developments that already surround him. His priorities were never more evident than with his Absolute World project in Mississauga. When he acquired the parcel of land at Hurontario and Burnhamthorpe, he understood it was vital piece of land on Mississauga’s skyline. While golfing with his colleague Ed Sajecki, they discussed ideas for the project, eventually deciding to launch an international design competition to decide on the building's form. He is driven by his philosophies on architectural freedom and creativity, as well as his passion to continuously re-invent residential skyscrapers and the landscape of the city around him. After receiving many impressive ideas from some of the world’s most established architects, as well as some impressive young talent from across the globe, they chose to proceed with Yansong Ma’s innovative design for the pair of towers. Ma saw Mississauga as a model for a futuristic city, and he wanted the buildings to embody a more natural and organic aesthetic, so he designed buildings that feature attractive curves and contours as they rise into the sky. Although this design presented some difficult challenges, Crignano was determined to stay true to Ma’s vision. Because of this, the development team had to think of some innovative new techniques for the construction of the towers. They needed to build floor-by-floor, as the curved shape of the tower meant that no two floors were exactly the same. Their diligence paid off as today the Absolute World towers - nicknamed the Marilyn Monroe buildings for their curvaceous features - are recognized as some of the finest towers in the world. 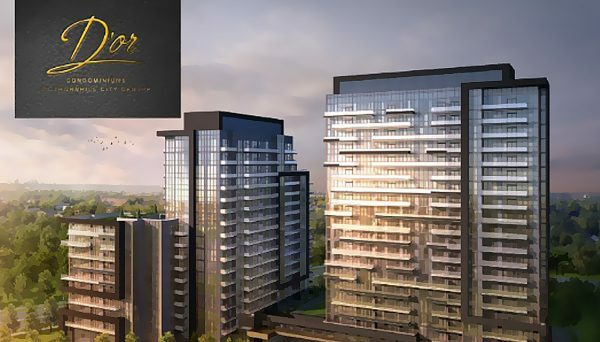 They received the Best New Development award at the prestigious Emporis Skyscraper Awards. 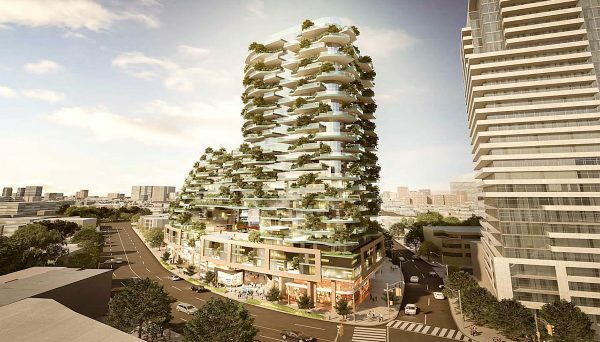 Today Crignano and Cityzen are developing a project at the sought-after intersection of Bloor and Sherbourne. This crimson tower retains a classic Victorian facade and aims to define the streetscape of the area. 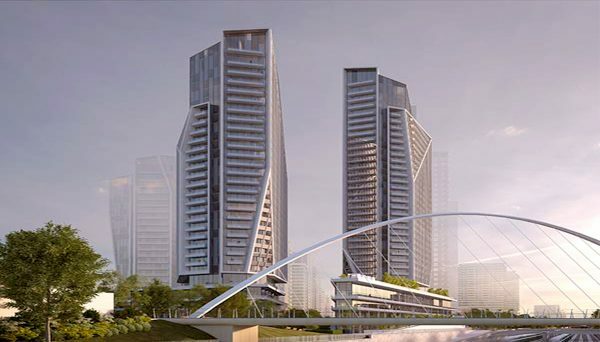 This company continues to prove its dedication to creating iconic towers in the GTA. As this developer continues to define the identity and shape of the GTA’s skyline, they look to implement their philosophy of freedom and creativity in all of their projects. Crignano is proud of his work thus far, but still believes his best work is ahead of him. Together with his team, he strives to continue creating architectural masterpieces. This pair of iconic residential high-rises have single-handedly shaped the skyline of Mississauga. They soar into the sky at 56 storeys and feature truly unique curves that are inspired by organic forms. The units feature nine-foot ceilings and each one showcases immaculate attention to detail. The amenities include a pool, a yoga and pilates studio, a party room and a squash court. They are located at 60 Absolute Avenue and were completed in 2011. 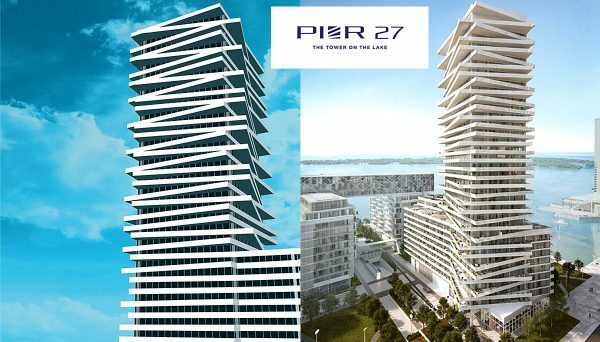 This mid-rise is located on Toronto’s historic Harbourfront and features luxury condos in a tranquil waterfront location. The ceilings soar to 10-feet in each of their 303 units and feature unparalleled amenities such as a sauna, pool and a game & billiards room. 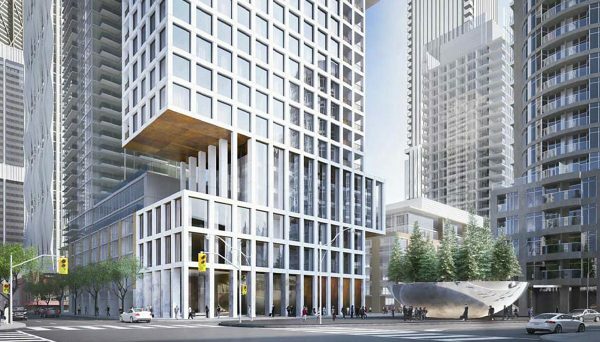 Its address is 25 Queens Quay East and construction was completed in 2014. These mid-rise condos offer luxury living in North York. The buildings reach 18 storeys and include 255 units between them. 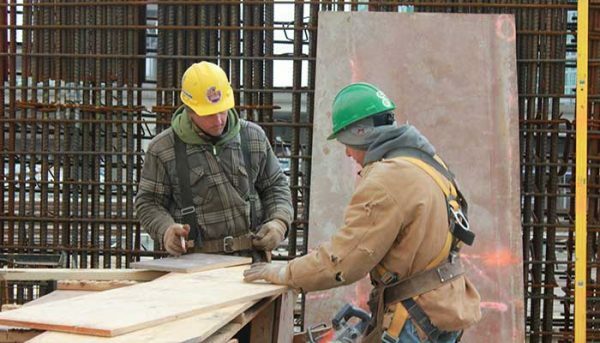 The project is close to a major hospital, as well as the 401 and Don Valley Parkway. 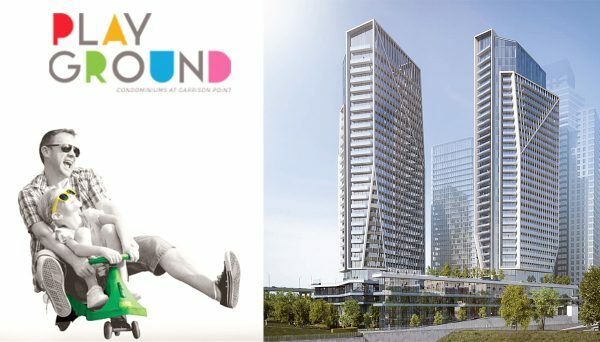 It is located directly on the Don Valley, so whether they look onto lush parkland, historic residential neighbourhoods or the skyline of Toronto, each unit features magnificent views. Its address is on Buchan Court and it was completed in 2011. This resplendent tower in the heart of Toronto brings old-world luxury to each one of its 408 suites. Attention to detail is evidenced by their hardwood floors, granite countertops and marble-finished bathrooms. Its amenities include a bar, cinema, exercise room, and yoga and pilates studio. Its address is 38 The Esplanade and it was completed in 2009.